It has been an incredibly long time since I last wrote! Yikes--it is scary how long my blogging break has been! Blogging used to be an almost daily occurrence for me, but now after this great span of days between posts, I find myself totally out of the habit and having to get used to the tabs and button features and little shortcuts all over again. I have great reason to venture out from blog hibernation today though! 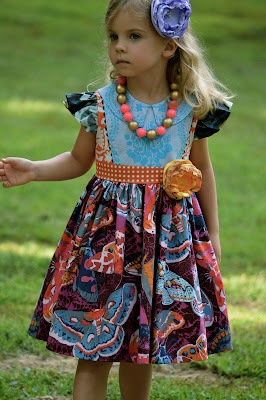 My sweet friend, Lindsay, is an amazing designer and pattern writer. 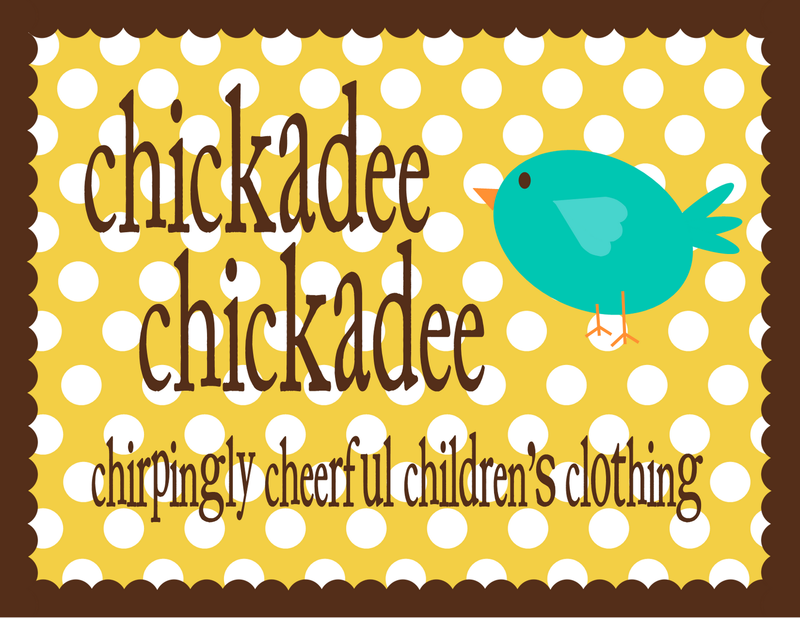 We met several years ago through her blog, The Cottage Mama, where she chronicles all the wonderful crafty creations she makes for her children and her home. We began chatting a while ago when we realized that our oldest children both shared exactly the same birthdays. When we figured out that our due dates for our third babies were in the same time frame, we speculated whether they too would share arrival dates...what do you know, but they did decide to come into the world only a few hours apart from each other!! We both have two girls and then were blessed with sweet little boys, so we've had some fun sharing stories about the similarities in our families. Lindsay has always filled her etsy shop with simply the most beautiful clothing pieces--her eye for fabrics and trims and tiny, sweet details is impeccable. 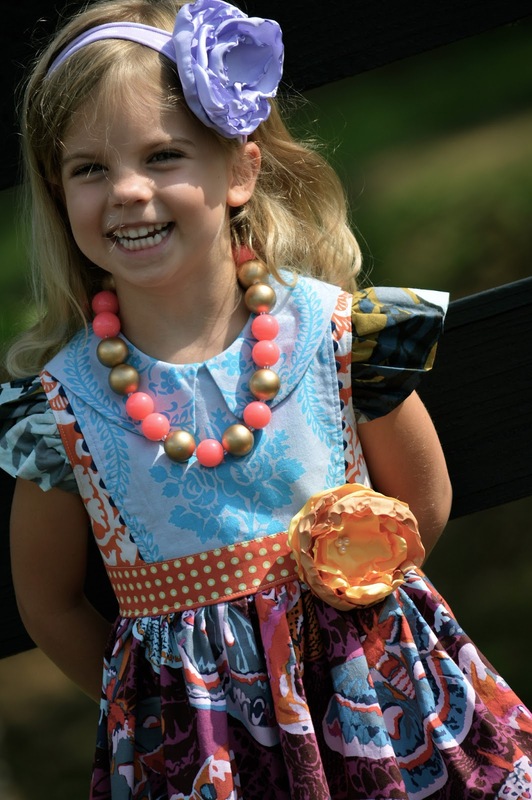 Life with three littles has shifted her focus from creating clothing items to designing the patterns for her pieces themselves. She brings the same attention to detail to her patterns as she does to the loveliness she spins out behind her sewing machines. 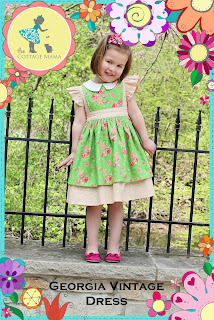 I am honored to take part in Lindsay's Cottage Mama blog tour and am tickled to tell you all about her sweet new Georgia Vintage Dress pattern. With the girls' back to school dresses and uniforms all finished and hanging in closets ready for big first days ahead, I debated about pairing the pattern with fall fabrics or with Christmas prints. I decided on autumny oranges, deep purples, rich navy blues and splashes of turquoise. Fall fabrics, especially anything by Anna Maria Horner and Joel Dewberry, have my heart, and I couldn't resist trying to balance out the sweetness and feminine style of the pattern with the boldness of harvest colors and prints. To be honest, I wasn't sure it would work and cut out three different sleeve fabrics and cut but then threw out more than a few options for sash prints before I settled on these. Lindsay's brilliant pattern suggests sticking to three prints and having a rhyme and reason to the way they are combined on the dress. Unfortunately, I had only small remnants of each of the prints I wanted to use on hand, so I had to venture a little outside the box when pairing everything up to make the best use of what I had. 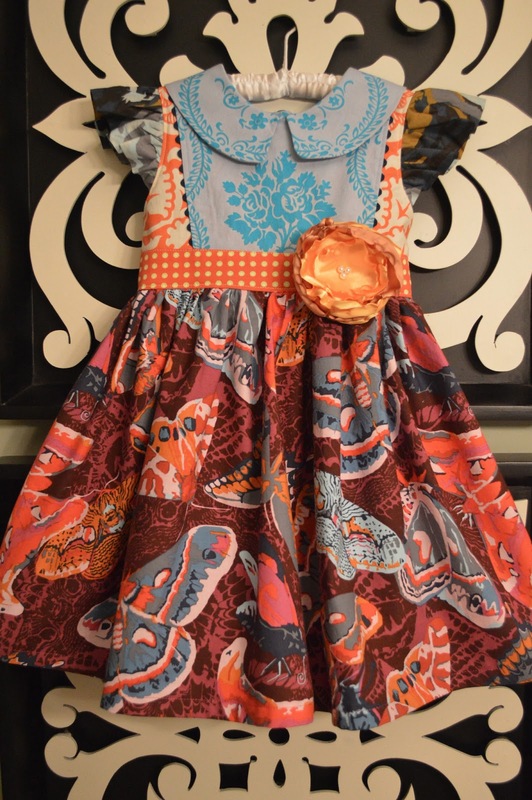 It's a little busy but I hoped when putting it all together that the sophisticated and classic style of the Paganelli print on the bodice bib and collar would tone down the loudness of the rest of the fabrics. While Lindsay's work is full of detail and precision, her easy to read and follow instructions make the sewing of what appear to be tricky and complicated garments straightforward and seamless to execute. I was pleasantly surprised by how quickly the dress came together and will definitely be making the Georgia pattern again soon!! 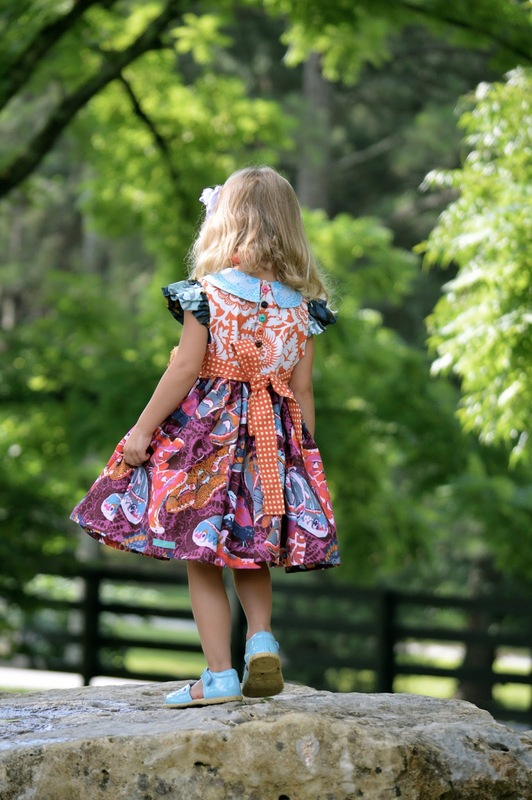 I originally designed this fall dress with Miss M in mind, but the size four I made ended up being a little long on her (she is just eeking into 4s so that was not a big surprise). When it was all finished, Miss R was excited to see something besides uniform sewing waiting for her to try on and was happy to pair a new set of shoes and some sweet new beads with the dress. The fit was perfect on her, which is somewhat rare, as R is pretty tiny. 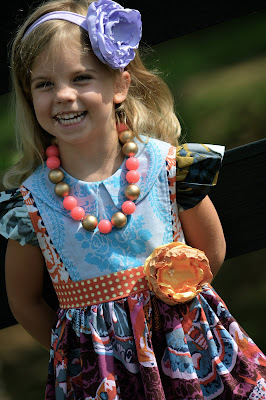 I am excited for our fall family pictures, trips to the pumpkin patch and any other excuses for dressing up that arise this autumn so she can wear her Cottage Mama inspired dress again and again! We had a small window of time before swimming lessons to head to the most lovely park for a few quick photos. We're sporting some disheveled hair and there may be a swim suit underneath the dress :) but all in all, we got some smiles! 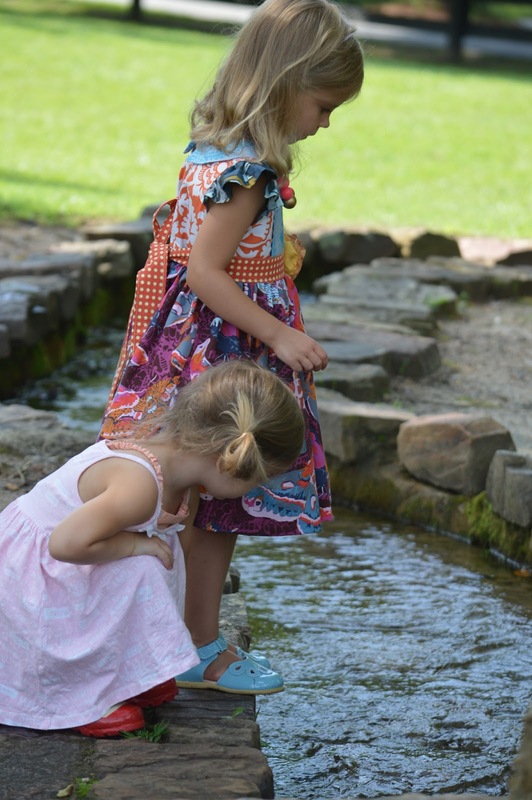 The morning was hot and steamy and we definitely turned some heads parading, the other three of us in swim suits and cover ups but R all fancy and bejeweled, past the sweaty playground and up a few hills to the perfect picture spot! While I was focused on coaxing some smiles from R the other two happily found a creek and they all joined in the splashing for a bit before we were off to the pool! The Georgia Vintage dress is a must have for your pattern library! 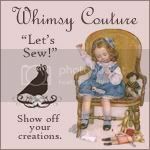 Well, frankly, all of Lindsay's patterns are, so I really encourage seamstresses of every skill level and ability to browse her offerings for dresses, tops, and rompers and dig in--you will not be disappointed!! She also has a book coming out soon--can't wait for that one!! The dress is adorable and you totally pulled off using all those bold prints and colors. The Georgia Vintage pattern is my favorite of all the Cottage Mama patterns. Thank you SO much for being part of this tour, Ashley!! I knew you would hit this one out of the park. I adore the modern twist and the beautiful fall colors. Thanks again! Lovely work as usual Ashley! You did a stellar job of centering the design on the blue fabric! Lovely dress!